Oh well today is just all about things in miniature! 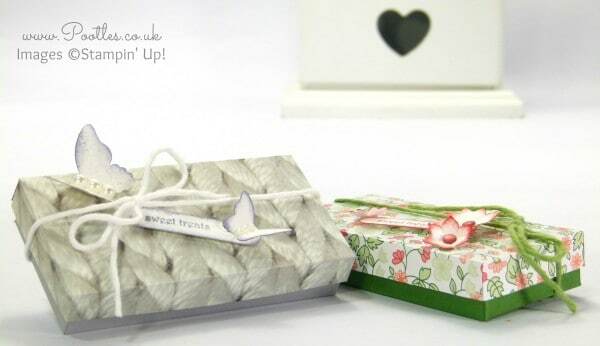 A super cute shallow box that is great for perhaps a small piece of jewellery, or maybe some sweetie treats. Something small and delicate definitely, but I’m also showing off some stunning papers. I enjoyed working with the Gold Soiree Paper last week, but for this project I wanted to use a totally different one, hence the inclusion of the cool knitted photographic sheet from the Adventure Bound Stack. I hope you enjoy the video and the fly-by-the-seat-of-my-pants addition! « South Hill Designs & Stampin’ Up! 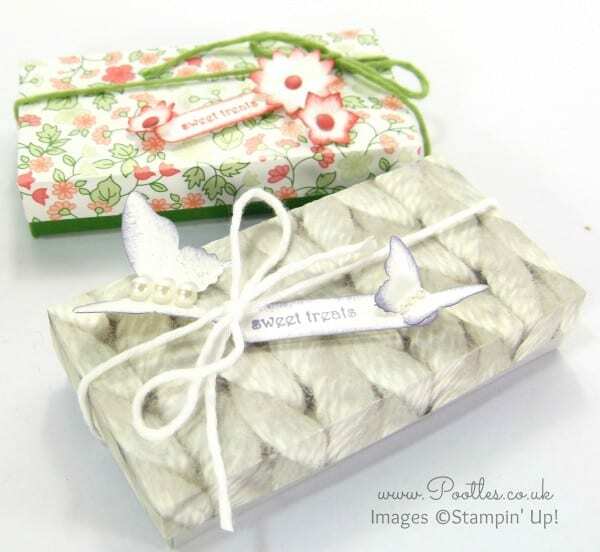 Sunday Four Feathers + Joining Offers Yay!